Since Leigh has the Sunday domain at SleuthSayers, he drew Easter and offered a column this week that addresses a topic similar to mine today. While I didn’t quite hit the holiday itself, apropos of the re-birth that is Spring, an article focusing, just a bit, on Easter beckoned me as well. So today’s piece, similar to Leigh's, is about Easter Eggs. The Easter Eggs that we are hunting for today are not of the candy or hard-boiled variety. Nor are they of the computer variety that Leigh addressed. They are, however, hidden and, unlike those discussed by Leigh, the ones this article focuses on actually relate to Easter.. And consistent with the recurring themes of SleuthSayers, to find them one does not comb the back yard. One combs mysteries. 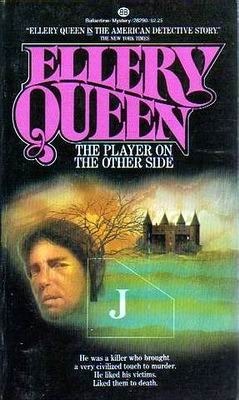 Some of the strangest Easter Eggs that you will encounter in mystery literature, however, are those found in the mystery novels of Ellery Queen. Most of the hidden messages in the works of Queen are so obscure that you can read the mysteries they are contained in and never realize that they are there. And generally Queen's Easter Eggs are completely unimportant to the underlying mystery story. Usually these references are to dates that have a hidden meaning, and more often than not those dates have something to do with . . . the holiday Easter. Well, first of all, these hidden references – hidden messages that in fact refer in many cases to Easter – pre-date by decades the coining of the phrase “Easter Egg.” And I know of no other Easter Eggs that actually reference the holiday Easter. A word of caution here: to delve into the hidden meanings behind the dates in Ellery Queen mysteries is to invite a headache. A comprehensive analysis of possible meanings of date and numerical references in the Queen oeuvre has been set forth in the webpages of Remi Schulz, the French Ellery Queen scholar. Only some of Remi’s theories and analyses have been translated into English, but a summary of Remi’s reasoning also appears in two essays that can be found on Kurt Sercu’s Ellery Queen: A Website on Deduction. Remi’s theories concerning the Queen novels are Byzantine in their complexity, but today, fitting of the recent holiday, we will focus almost solely on Easter. With all of that as introduction, let’s jump onto the roller coaster. Fasten your seat belts, and hold on tight! What is likely the first reference to Easter in an Ellery Queen novel appears in The Four of Hearts, published in 1938. There a character in the mystery dies on April 17, which, in 1938, was Easter. The reference is obscure and, as with virtually all such references in the works of Queen, does not relate to the underlying mystery. The story is, in many respects, an homage to Maurice LeBlanc’s Arsène Lupin mystery Le Triangle d’Or, which, itself, has many references to the holiday Easter. Standing alone, the date in The Four of Hearts would likely mean nothing. But, as will be seen, it hardly stands alone. Four years later, in Calamity Town, published in 1942, the first Ellery Queen mystery to be set in the Queen-created upper New York town of Wrightsville, a culminating episode occurs in chapter 27, which is titled “Easter Sunday: Nora’s Gift.” Interesting, but still, we could be dealing with coincidence. In 1950 another Wrightsville mystery was published, Double, Double. The chapters in Double, Double are all titled with dates, beginning with April 4, and culminating events occur in the chapter entitled “Weekend, April 8-9.” In 1950 that weekend was Easter. Dannay and Lee likely intended the Queen saga to end with the publication of The Finishing Stroke in 1958. Easter did not figure into that story, which instead focused on Christmas week – and also on the date “January 11,” a reference that relates to Manfred Lee’s birthday. The date has nothing to do with Easter, but it has some personal importance to me as well, which I previously explored in a Criminal Briefs article three years ago. But by 1963 Ellery arose from his literary death with the publication of The Player on the Other Side, and the Easter game was again afoot. During the course of Player we learn that a central character was born on the 20th of April, 1924. You guessed it – Easter. That particular date is cloaked in at least two other obscurities. First, exactly thirty-five years before, on April 20, 1889, Hitler was born. Beginning with that reference in 1963 the works of Queen occasionally combine references to Hitler in tandem with Easter. But second, in the circle of the year April 20 is precisely one half of a year separated from October 20, the day on which Frederic Dannay was born in 1905. So just as The Finishing Stroke references Lee’s birthday on January 11, so to, The Player on the Other Side references, albeit more obscurely, Dannay’s birthday, and does so by tying the date to Easter. Were there to be any doubt as to the recurrent Easter themes (as well as references to Hitler) in the works of Dannay and Lee, those doubts would be dispelled by And on the Eighth Day, published in 1964. While this mystery is one of my favorites, many Queen fans do not like it at all. The book is unlike any other Queen novel, much more of an allegory -- an Easter allegory -- than a mystery. Although written in 1964, And on the Eighth Day recounts Ellery’s visit to a hidden southwest religious community twenty years earlier, in 1944. As was the case in Double Double, the chapter headings in Eighth Day are dates, beginning with April 2 and ending, on April 9. You guessed it – in 1944 this was Easter week. Moreover, the story revolves around a book, thought to be a recovered religious tract long lost by the community, that had been re-discovered and purchased by the leader of the community on April 8, 1939 – yet another Easter. From the obvious Easter motifs in And on the Eighth Day Queen brings us back to Easter by way of obscurity. In Face to Face, published in 1967, there is absolutely no reference to Easter. However, near the end of the mystery Ellery is called upon to help find someone to officiate at a wedding, that, contrary to Christian tradition, is planned for Palm Sunday. Face to Face concludes the next day at a New York airport. Queen’s next book, The House of Brass, published in 1968, centers on the Inspector and has no Easter references. 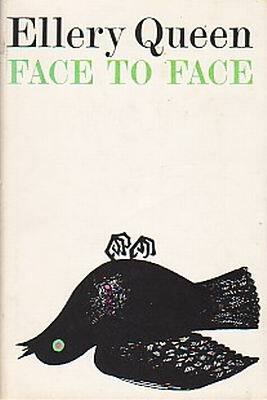 But then, in 1970 – fully three years after Face to Face – Ellery is back in The Last Woman in his Life, which begins just minutes after Face to Face concluded -- on the same day and at the same New York airport. The Last Woman in his Life nowhere uses the word “Easter,” but if you start with the date of the Palm Sunday wedding in Face to Face, count the additional day in that book, which is also the day on which The Last Woman in his Life begins, and then calculate out the days that transpire in Last Woman it becomes apparent that the victim in Last Woman, who is the son of a carpenter, was murdered on – Easter Sunday. Given all of this, when I was working out the outline for The Book Case, an Ellery Queen pastiche in which a 102-year-old Ellery solves one last murder, I made certain that the reader could calculate that the murder, in fact, took place on Easter. This seemed the right thing to do. But if you asked me why it was the right thing to do, I still would have to shrug and give Richard Dannay’s answer – I have absolutely no idea! 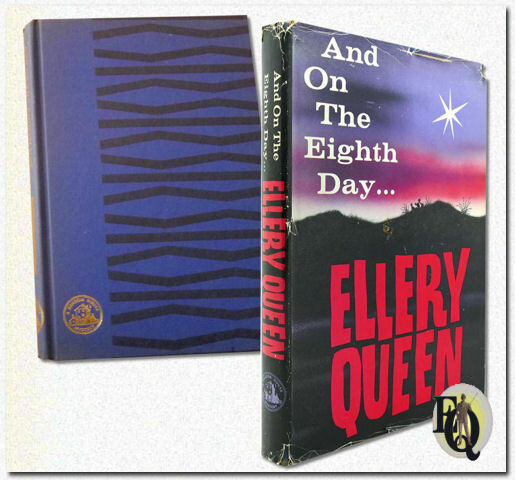 Dale, I always thought "the eighth day" (anywhere, not specifically in Ellery Queen) referred to the Creation in the Bible, in which God created the world in six days, and on the seventh, He rested. The eighth day would be--wasn't it Bob Dylan who said "the first day of the rest of your life"? ie the first day on which the whole world had to get on with it. Liz -- I agree, hence the reference to the book of Genesis in the article. But, again, with Queen you always have to keep looking. Most of the time there is something more than just the obvious answer! Interesting, Dale. I didn't know any of that about Queen. Like you, I ensure dates, places, etc, are accurate in stories. I had noticed how Sherlock fans pored over stories, but I think it's more a matter of pride. I also like to code little references into stories, perhaps a historical date or the license plate of a friend. Most people will miss it but it gives those who catch it something to smile about. Dale, One story I've been working on contains references to other fictional mystery characters. It's enjoyable to work things in without being too obvious. Dale, following your writings. This is Esther your assistant at SK&K. Regards from Panama.